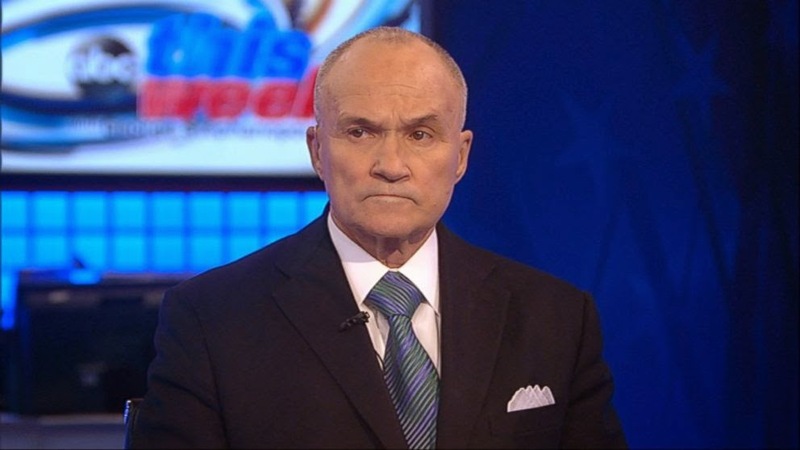 Former New York City police commissioner Ray Kelly said the Mayor's decision to run his 2013 mayoral campaign on an "anti-cop" platform was one of the reasons why police officers are turning their backs on the mayor. Speaking on the ABC Sunday morning talk show, This Week, Kelly went after Mayor de Blasio's 2013 mayoral campaign message, which centered around the slogan that New York was a "tale of two cities" and that police-community relations were poor. "Quite frankly the mayor ran an anti-police campaign last year when he ran for mayor so there’s a bit of a residue." The mayor's 2013 camping platform focused on police-community relations. Mayor de Blasio opposed keeping Ray Kelly as commissioner, the longest serving police commissioner in New York history. The mayor ran on "ending the NYPD stop and frisk program", an end to "racial profiling" and repairing the police-community relations by appointing an "inspector general", who would oversee the police department. NYPD officers, according to new police commissioner Bill Bratton, have "lost trust" in the mayor. "I think he has lost it with some officers" Bratton said Monday. Patrick Lynch, the President of the Police Benevolent Association, has voiced his frustrations with Mayor de Blasio as well. Lynch said "that the blood [of the two officers]...starts on the steps of City Hall, in the office of the mayor." President of the Sergeants Benevolent Association and NYPD Sergeant Ed Mullins spoke about the "broken police department" in response to the mayor's performance and policies surrounding the NYPD. "The police department is broken. The people in the city of New York are really in a bad situation."